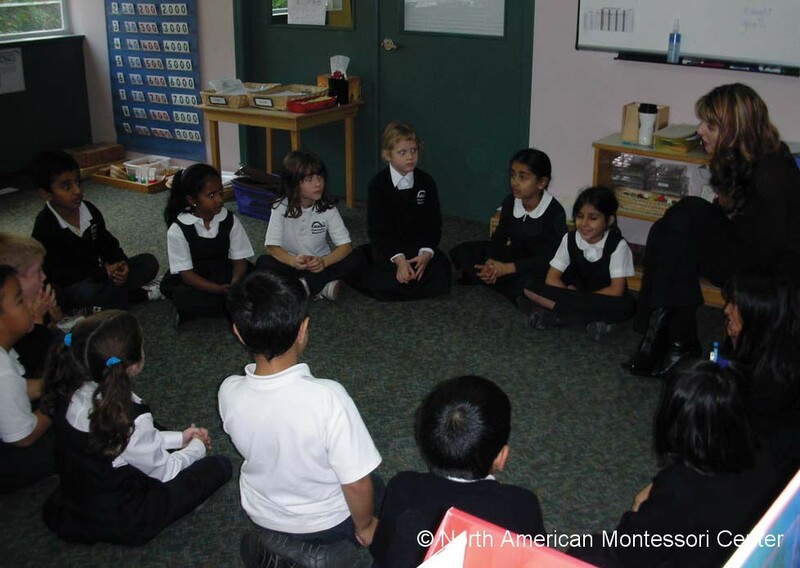 In the Montessori Classroom, the day begins with morning circle. This is a time for the classroom community to come together and to greet one another. It's also a time where the teacher might review concepts such as calendar, time, and weather or introduce a new work or group lesson. Often, songs are sung, poems are recited, or bodies become aware with creative movement exercises such as yoga or tai chi. Experienced Montessori teachers have their morning circle routine planned for the day and committed to memory. For the new Montessori teacher, it's easy to ask "What do I do?" Here are a few excellent suggestions for ideas for circle time. Involve children in circle time by encouraging participation. Use a familiar word or phrase to alert the children that it's time for circle. This year, I use "Good morning, my friends. Will you please join me for circle?" Preschool aged children enjoy singing the “clean-up” song. I start singing softly and the children join in as the song continues. At the same time, they start putting their work away. To make our classroom neat, etc. You can continue adding verses for as long as you like: roll the mats, wash the tables, tidy the shelves etc. And sit down very quietly, etc. It works best to choose a well known nursery rhyme or simple song that most children know and then make up the words accordingly to suit a Montessori classroom. Keep it positive! You want the children to enjoy and look forward to circle time. Have clear guidelines and expectations of behavior during circle time. Sometimes, the best way to get the point across to children is to role play a specific situation. If, for example, you have an issue in your Montessori classroom where the children are not including certain children during play time, you may want to role play the situation. Then, go around the circle and allow each child to voice an idea on how to solve the problem. If there is a disagreement, make sure that both sides are heard and then ask what should have happened or what else they could do. You might also choose to read a story about an issue that's happening in the classroom. The Berenstein Bears books are excellent for teaching conflict resolution. Read the story and stop when the conflict climaxes. Ask the children what they would do and how the problem might be solved. Finish reading the book to see what happens. Games in the Montessori school should be non-competitive and all inclusive. In the game "When the Warm Wind Blows" the children play a non-competitive game of musical chairs while helping the children get to know each other, learn sportsmanship and resolve conflicts, such as the problem of two children reaching the same chair at the same time. Have the children form a circle with their chairs. The game leader removes his/her chair and stands in the middle of the circle. The leader must think of something that many in the group have in common and say something along the lines of "If you like playing on the swings/ chocolate ice cream/ the color blue…change chairs when the warm wind blows." Everyone who likes that item, including the leader, gets up and finds a new chair. The one left standing is the new leader and moves to the center of the circle to continue the game. You will need a small paper bag for each child and the teacher. Show the children a small paper bag and say "I'm going to put something in this bag." Hold the bag up to your mouth and blow air into it. Ask the children to guess what's in the bag. (Some children will guess right away and others it may take a few guesses or more time to think). Ask the children to hold their hands over their ears and then pop the balloon. When "air" is guessed, ask the children if they'd like to fill a bag full of air and hand each child a small paper bag. Let the children "pop" their bags. (Encourage recycling with the "popped" bags). You will need: tissues, feathers, masking tape. Show the children that air moves things by holding a tissue in front of your face and blowing on it. Put a feather on the palm of your hand and blow on it. Again, ask the children what the observe happening. Give each child a feather and encourage them to experiment with how air moves things. Ask the children to pick a partner to with whom to have feather races, where each child tries to blow their feather across a line of making tape. Afterwards, write a group story about the feather races. Older children can brainstorm and experiment to see what other classroom objects can be blown across the room. Create a chart of things which can and cannot be blown across the room. Circle time isn't just for attendance. Sometimes, when the work cycle becomes disrupted, I will gather the children to circle to "re-center" ourselves. Circle time is a place to regroup and reconnect. Some of my students have even said that circle time is their favorite time of the day. Circle Time activities are outlined in NAMC’s 3-6 and 6-12 Montessori Classroom Guides. © North American Montessori Center - originally posted in its entirety at Montessori Teacher Training on Sunday, May 11, 2008. This was really informative and very helpful, thank you so much. Thank you so much for your kind comments. Have you done anything in Circle Time that your children have really enjoyed? I am a student teacher, but I am lucky enough that the head teacher encourages me to take her place whenever I need to. I noticed that the kids LOVE singing in the circle, and there isn't a children's song that I don't know, being a mother of three. So I try to sing a different song each time. Yesterday was "ring around the rosie". Then we opened the circle wide and I invited each of them, one by one to sit in their usual place. Also, the kids love stretching and the head teacher did that with them. I would love to gather more ideas for the circle time since my main idea is singing. I also sing songs that I make up on the spot with their names within. They absolutely enjoy that. What if a child doesn't want to come to circle time? What if they have something else that they would rather do? I thought Montessori was about developing independence in the young child, and freedom to choose. How can you tell which children are actually interested in or listening to what you are talking about? Do they just come to 'circle time' because that is what is expected? What an excellent question! Children are invited to come to circle, should be free to decline to come, just as they may decline a lesson. I don't believe in forcing or enticing a child to stop their work to come to a group lesson or circle. The children who wish to come may come, and those who wish to continue working may do so, as long as they are working and concentrating, and not disturbing others. You can gauge the interest of children by their behavior. If they are concentrating and participating, then all is well. If they begin to lose concentration and fidget, then it is time to wrap up and dismiss them to go back to work, or out to play.